Convex to hemispherical body. Delicate form with thin wall. Tubular or fusiform unguentarium, or bottom of lamp? Colorless blue to light blue (PMS 656 C). Transparent. Rare pinprick and small, spherical and elongated bubbles. 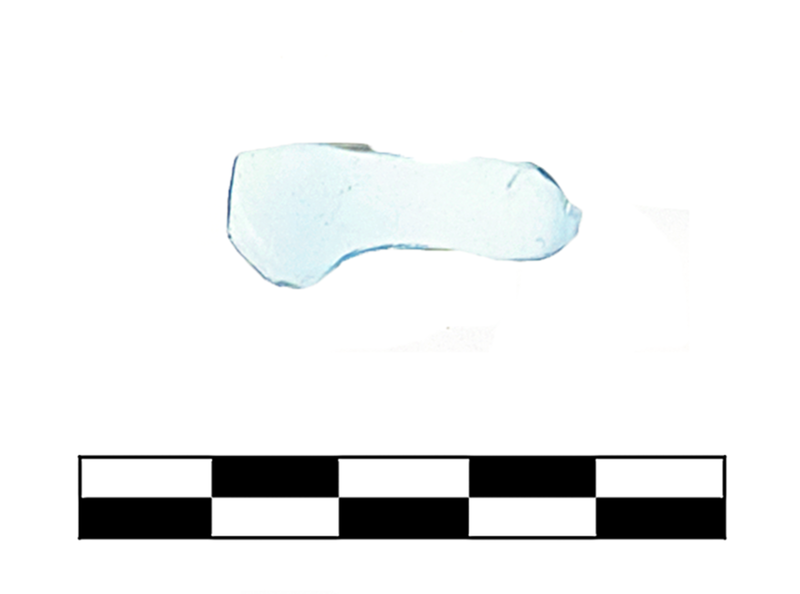 One small fragment from lower vessel or base. Excellent condition.